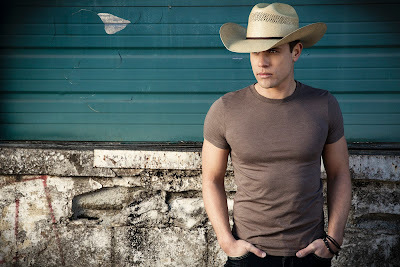 Broken Bow Records’ Dustin Lynch lands inside the Top 5 at Country radio this week with his scorching single “Hell Of A Night” holding the No. 4 spot on both the Mediabase Country Chart and Billboard Country Chart. Fueling the fire, the rising new artist will perform the top-selling hit on NBC’s TODAY show on September 2. Living up to one of the “Young Guns” leading Country music’s changing of the guard (Billboard), Lynch is currently on the road with Luke Bryan’s 2015 KICK THE DUST UP TOUR and made his first career stadium run this summer. This fall he will embark on his first-ever headline trek with the HELL OF A NIGHT TOUR. Covering 35+ cities, including major stops in New York City, Boston, Houston and New Orleans, the tour features special guest Big Loud Records’ Chris Lane. Tickets for additional select dates will go on sale to the public on Friday, August 21 starting at 10:00 a.m. local time at www.DustinLynchMusic.com. Since releasing his PLATINUM debut single, “Cowboys And Angels,” Lynch has launched on to the country music scene. Racking up over 34 million views on YouTube/VEVO, notching 66 million plus streams on Spotify, soaring to #1 on the MTV Music Meter and selling 2.7 million digital singles, he brings a fresh combination of traditional influences and edgy intensity to the genre. Producers Mickey Jack Cones, Brett Beavers and Luke Wooten showcase his progressive sound throughout his sophomore album, WHERE IT’S AT (Broken Bow Records), which debuted at #1 on the iTunes Country Albums Chart upon release, delivered the multi-week #1, PLATINUM-certified title track and has tallied over 1 million tracks sold to date.